You need a vehicle that’s ready to adapt to your lifestyle—not one that you need to adapt your lifestyle to. The 2017 Sorento is ready to take on everything that you, and the unpredictable climate of Saskatchewan, can throw at it. With available Dynamax all-wheel-drive, the Sorento can quickly adapt to variable road conditions and keep you and your family safe. Available 7-passenger seating and an easily configured interior mean that this crossover SUV is flexible inside and out. Of course, as a Kia, you know it’s going to be great looking. As a winner of the iF Product Design award in 2015, this is one car you—and your neighbours—will be looking twice at when it’s parked in your driveway. But we know looks aren’t everything. The Sorento has substance too. As an 2017 IIHS Top Safety Pick, it will keep you and your family safe, while the available 290 horsepower motor means you have the power to get out of trouble and pass whenever you need it. Ready to get on the road? 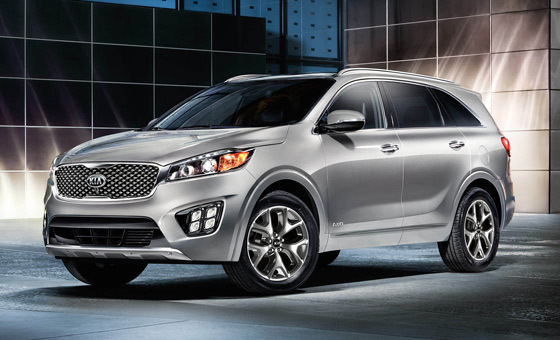 Start by checking our online inventory of new Kia Sorento models at Wheaton Kia and test-drive the all-new Sorento today. Whether you’re visiting us from Regina, Moose Jaw, Weyburn, Yorkton, Swift Current, or elsewhere in the surrounding region, you’ll be glad you made Wheaton Kia your first stop. The 2017 Kia Sorento’s interior is all about flexibility. Split-folding second-row seats make room for a substantial amount of cargo, while available seven-passenger seating makes room for larger families. 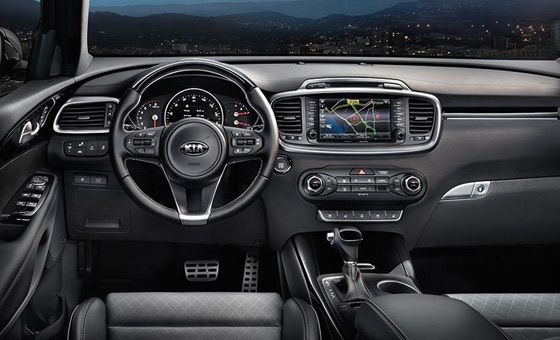 There’s one thing you probably won’t notice once you step inside the 2017 Sorento’s interior: road noise. With a truly quiet ride and features like an available sound-absorbing laminate windshield, you can enjoy silence or your favourite music without intrusion from outside. Comfort & luxury features abound, with available heated and cooled seats, a panoramic sunroof, and both Android Auto and Apple CarPlay integration. The available hands-free Smart Power Liftgate makes it easy to access the rear storage so you don’t have to worry when your hands are full. The 2017 Kia Sorento is an IIHS “Top Safety Pick” – but there’s more to safety than just awards. Crash test ratings have measured the Sorento’s ability to protect you in a collision with features like air bags and ultra-high-strength steel body structure. What they don’t measure are the additional safety systems that help prevent a collision in the first place. The Sorento can be equipped with a range of safety technology features including Smart (adaptive) cruise control, a 360-degree camera monitoring system, Blind Spot Detection, Rear Parking Sensors, Automatic Emergency Braking, and more. 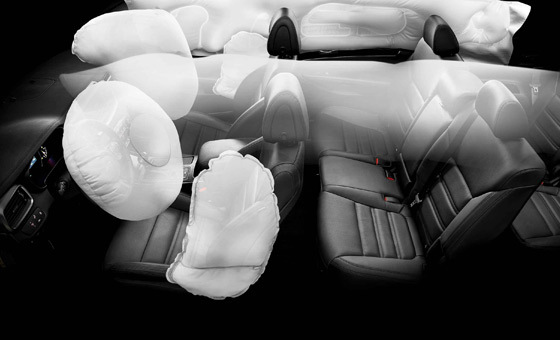 The Sorento embraces the next generation of safety, which is pre-emptive to a collision. 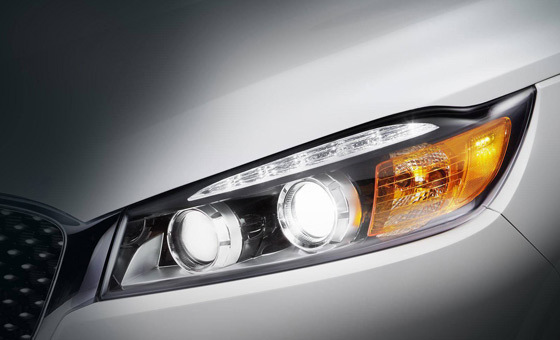 Looking for OEM Kia Sorento Parts or Accessories in Regina? Don’t look any further than Wheaton Kia. We have everything you need to make your Sorento pop with unique accessories guaranteed to fit and match the finish of your ride. If you’re looking for ways to carry more gear, then ask about our cargo organizers, roof racks, and other cargo carrying options. We have just about anything you’d want to customize your new or used Sorento. Get started and order your Sorento parts online in Regina!